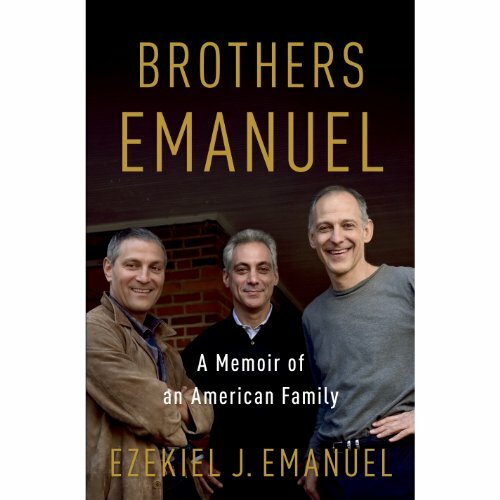 Showing results by narrator "Ezekiel J. Emanuel"
For years, people have been asking Ezekiel “Zeke” Emanuel, the brash, outspoken, and fiercely loyal eldest brother in the Emanuel clan, the same question: What did your mom put in the cereal? Middle brother Rahm is the mayor of Chicago, erstwhile White House chief of staff, and one of the most colorful figures in American politics. Youngest brother Ari is a Hollywood super-agent, the real-life model for the character of Ari Gold on the hit series Entourage. More accurate title: "Emanuel and his family"